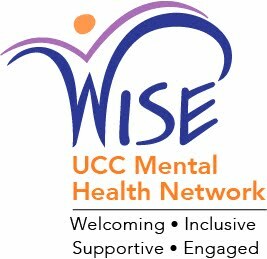 What is the UCC Mental Health Network? People with mental illnesses feel welcomed, supported, valued and included seamlessly in the life, leadership and work of their congregations. UCC congregations have eliminated stigma, and their members offer true compassion and support for people with mental illnesses and their families. UCC churches are collaborating with other faith communities to widen their welcome to people with mental illnesses. Jesus has shown us the way to embrace those who are marginalized by society and advocate with and for them. Every person has value and worth and deserves love, dignity and respect. All people, regardless of mental health or disability status, have something to contribute to the life, leadership and work of their congregations. Community matters. A sense of belonging is important to us all, whether we face mental health challenges ourselves or not. True compassion in ministry and relationships is based on equality. In 1992 the Mental Health Network (formerly the Mental Illness Network) began with a grant from the American Missionary Association of the United Church of Christ. We began as a response to the need for families and others to communicate among themselves about their experiences as families, and in congregations. We are, therefore, a network and not a committee. Who are those with a mental illness? We are your brother, your sister, the man across the street, the person next to you in the pew. In a given year, one in every four people (26.2%, according to the National Institute on Mental Health) is dealing with a mental illness, also known as a brain disorder. "People with mental problems are our neighbors. They are members of our congregations, members of our families; they are everywhere in this country. If we ignore their cries for help, we will be continuing to participate in the anguish from which those cries for help come. A problem of this magnitude will not go away. Because it will not go away, and because of our spiritual commitments, we are compelled to take action." What is your congregation doing to widen the welcome and support those with mental illness in your midst? What are you doing as an individual? Why widen the welcome to all? Jesus reached out to people who were marginalized, to those who were ostracized, and to those who were the outcasts in the eyes of society. Jesus’ compassion and embrace exemplified what His followers ought to do: reach out to the least, the lost and the lonely. The way of Jesus was comfort, not ridicule; it was love, not indifference; it was empathy, not hostility. The way of Jesus is our spiritual calling. It is the way we are to acknowledge and affirm the worth of everyone, especially those who are deemed less than, not enough, and not deserving of respect. Jesus’ way is to overturn the customs that put the lowly down and to lift up those who have been shut out. It is our spiritual calling to follow Jesus that leads us to widen our welcome. While the diagnosis and treatment of serious mental illness is undergoing a revolution, the discrimination against persons with mental health concerns is still a fact of life. We believe that education through our churches is one key to changing this discrimination. We believe that networking together within the UCC and with similar networks in other denominations and faith groups will help us in our efforts. We believe that advocacy for individuals and for social and legislative change will improve the life of many. We believe that through our own policies and within our own ministries we can model for the rest of society how to be caring congregations and a compassionate denomination. The UCC Mental Health Network exists to provide resources so that individuals and congregations may engage in these ministries. Be sure to see the Access Sunday resources on the UCC Disabilities Ministry website and the Mental Health Sunday resources on our Mental Health Sunday page. Who are our partners and mentors? Meet some of the Board of Directors! This is a video of some of the UCC Mental Health Network board of director members speaking about mental health and the church. This video was taped at our annual meeting, September 2016. We are a very committed group of volunteers and we always welcome hearing from you. 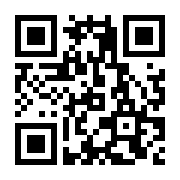 mhnucc@gmail.com or revalan2004@comcast.net. Do you have a Brochure about the MHN?